The survival horror genre has suffered a few setbacks over the years (we’re looking at you, Resident Evil 6), but a few dedicated video game developers have remedied that issue. Gamers have been provided with a bunch of awesome games that bring the fear back into the experience, such as Alien: Isolation and The Evil Within. 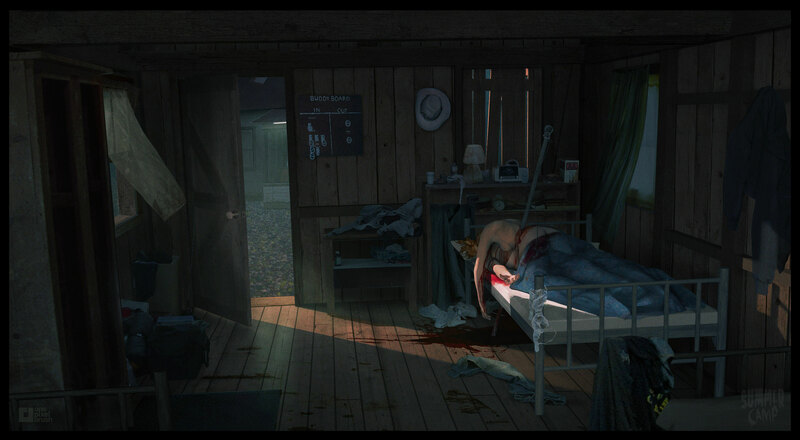 Summer Camp, an upcoming video game ode to the slasher flicks of old, is looking to continue the resurgence of the survival horror genre. The developers behind this third-person adventure, Gun Media, are currently hard at work at putting the final touches on this throwback to films such as Friday the 13th and Halloween. In a really cool nod to those films, special effects legend Tom Savini and Friday the 13th composer Harry Manfredini are working on this production! The overall premise of Summer Camp sees you play as a summer camp counselor who tries to survive the wrath of a murderer until dawn. You’ll have to work alongside other human players as you try to avoid getting cut down in the dark wilderness. You even get the option to take on the role of the dreaded killer! Mirroring Camp Crystal Lake from the Friday the 13th series, players will try to survive in a camp ground setting. Complete with a lake, cabins, and crazed killer who won’t stop until you die a gruesome death.The entire focus of Summer Camp is multiplayer. It will support 6-8 players in a large, arena style map. Remember, don’t go into the woods, alone. Ever.Every aspect of Summer Camp is ripped straight from the VHS era. The visual treatment to the world mimics the artifacts found on VHS tapes of the ’80s. The tracking button helps. Several video game developer luminaries have attached their name to this project – Wes Keltner, Tom Savini, Randy Greenback, Ronnie Hobbs and Harry Manfredini. Summer Camp doesn’t have a solid release date as of this writing, but you can expect to see it launch on the Xbox One, PS4 and Steam PC gaming platforms. Oh, and check out the cool tagline for this game – Your sleeping bag…will be your body bag! We could totally see that on some retro video tape of some forgotten slasher flick from the ’90s.